8-Bit Night predecessor now on Desura for FREE! 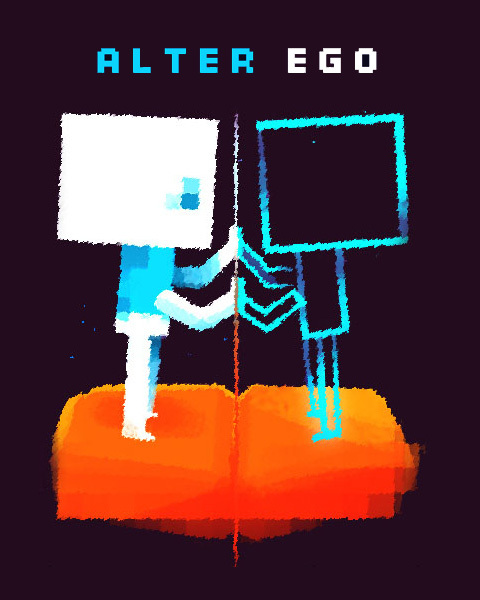 Alter Ego is a clever retro styled single screen puzzle platformer with an interesting swapping mechanic. You control a blueish little guy and his phantom alter ego (that moves in a mirrored fashion) at the same time. Swap places with the invincible alter ego to reach normally unreachable corners and collect all the pixels to solve each stage. The game is freely available for PC, NES,MSX and ZX Spectrum. Enjoy AlterEgo and many other great games on Desura. a great game if you're into having to think your way around a level, but you don't really like to think at all when it cames to play games, really fun, retro, arcadeish. I just can't make it start on my Linux Mint 13 KDE. any way the game looks great but until the devalopers won't fix it its gets 1/10 from me. My solution to get it work (Ubuntu 12.10): open AlterEgo.sh in gedit and "save as" it with line end setting "Unix/Linux".